From kindergarten classrooms to corporate boardrooms, Kathryn has inspired tens of thousands of individuals to improve their health and happiness. Guylay is constantly admired for her effective and fun wellness education. Never wanting to be perceived as the food police or convey guilt, Kathryn uses positive messages as well as games and activities to bring lessons to life. 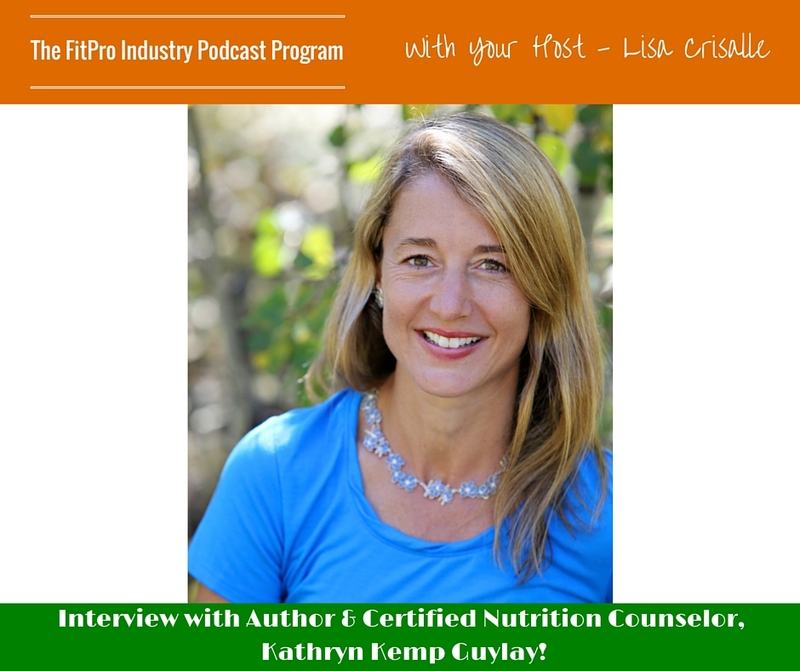 Kathryn Kemp Guylay is a speaker, certified nutritional counselor and coach with a master’s degree in business administration (MBA) from the University of Texas at Austin. She is the founder and executive director of Nurture, a national nonprofit that provides nutrition and wellness education to children and adults. Kathryn also collaborates through several health initiatives such as Michelle Obama’s Let’s Move, the Center for Science in the Public Interest and the Wellness Council of America. Kathryn is also an award winning and bestselling author. 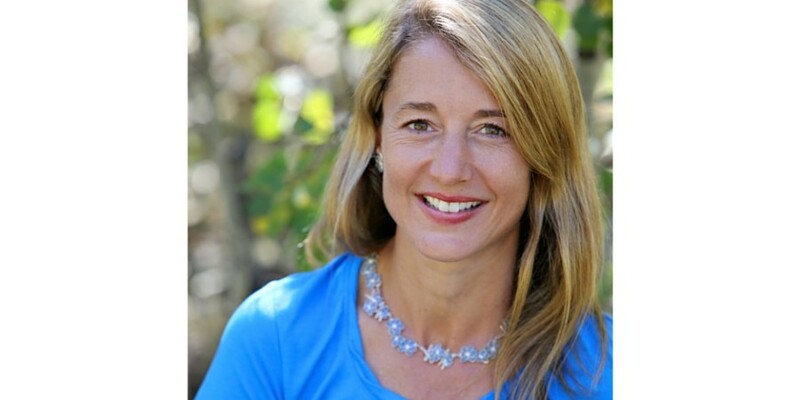 Her first book, Mountain Mantras: Wellness and Life Lessons from the Slopes, presents stories and experiences from her personal life, using skiing and snow sports as metaphors for success in life and health. 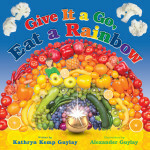 In her new children’s book, Give It a Go, Eat a Rainbow, Kathryn educates kids about the importance of eating a colorful variety of fruits and veggies. Illustrated by her son Alex, the book inspires children to try new foods. Kathryn and Alex applied augmented reality, an art medium that mixes real life photography with Alex’s whimsical hand-drawn images. Give It a Go, Eat a Rainbow will be published in July 2016. Kathryn learned early in life how the food you eat directly affects how you feel. She quickly became hooked on nutrition. She fully embraced her passion for nutrition professionally after her children were born. Kathryn was raised in the household of a biological chemist, as fer father taught doctors nutrition. 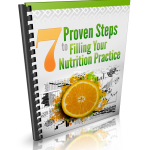 She quickly realized that the curriculum for doctors’ learning about nutrition was very minimal. Kathryn says because she was the daughter of a chemist, as a child she was left to roam the halls of the Chicago Medical School. It was there she learned the science about the body. Were you always interested in the nutrition industry? Although Kathryn loved gathering information and learning from the scientists, after high school she decided to pursue business school. She worked for a multi-national corporation, then moved on to work as a management consultant for ten years. It wasn’t until later, when she saw the diabetes statistics released that said one in every three children born in the year 2000 will develop diabetes. This really hit home for Kathryn, as her daughter was born in the year 2000. She continued on with her training in nutrition, and helped friends and family. She quickly learned there was a big need for the knowledge she had. How did you start working one-on-one with clients? Kathryn volunteered at a local food pantry for lower income families. One day she was looking at the type of foods these families were getting. The nutritional value of the food provided was definitely not where it should be and she approached the head of the pantry and suggested to educate the families in need. While growing the program, Kathryn met a wonderful nutritionist and educator who specialized in educating children. Kathryn says there was “real magic” going on in the room. She met a nutritionist and educator named Juliette Brittin who had been working about 14 years in children’s nutrition. She knew how to create the messages for the kids that they would identify with. After unplanned media coverage and advising the public of what they were doing, schools started asking them if they would come to the kids and teach the kids in school about nutrition as well. How did you tie in snow sports to nutrition? Kathryn says when she goes skiing, she is able to zoom out and take it all in and see the “bigger picture”. Kathryn says life is the same way, and we need to step back and look at the bigger picture here as well. How did your children’s book transpire? For the last ten years, Kathryn has been dreaming of creating a book like this to encourage children to explore fruits and veggies in all the colours of the rainbow. She created her new book to make it engaging, real and fun. She decided her medium by speaking with an art educator for kids. Kathryn came into some challenges when it came to publishing her book. Her book was 52 pages and publishers said they would not publish it because it is too long and kids do not have the attention span to stay engaged. She didn’t agree and started testing the book with children to see what results came from it. Another big challenge is getting to reach all the kids that really need this information the most. Over the past ten years, Kathryn has seen a major change in the way people see children’s nutrition and nutrition in general. She says the challenge of trying to educate people isn’t there, as they already know there is a problem and need solutions. What are your top three books to recommend? 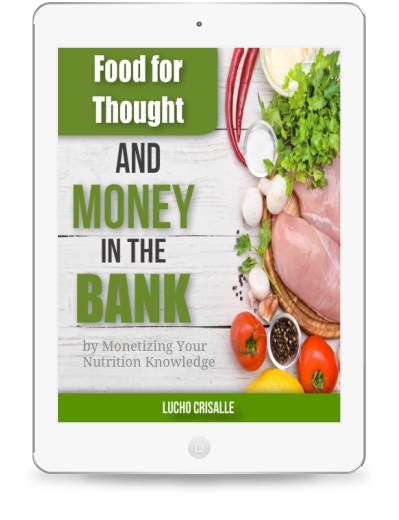 Lisa and Lucho Crisalle are the founders of Exercise & Nutrition Works, Inc., and the creators of the Certified Fitness Nutrition Specialist, CEU accredited home study program. They are Business Coaches focused on helping personal trainers, coaches, health practitioners and fitness industry experts Monetize Their Nutrition Knowledge with a proven SYSTEM to CONVERT Prospects into High Paying Clients; CREATE Custom Meal Plans based on the Individual; and AUTOMATE their Business to Add an Additional $10,000+ per month. Want more great tips and insight on the health, fitness & wellness industry? Each episode of the FitPro Industry Podcast is designed to give you insight, strategies and ideas that you can implement today in your business! LISTEN NOW! Wow! you’re still reading this! Then let us take a moment to say you’re amazing! Connect with us below! Complete the form below and we’ll send you your Free Report "Food for Thought & Money in the Bank." Discover the #1 System for YOU to earn an Additional $10,000+/month, Satisfy your CEU Requirements, Learn how to Add a CUSTOM Nutrition Component to your Business and Get Measurable Results for your Clients! Fructose and “Natural” is Not Always Good For You!